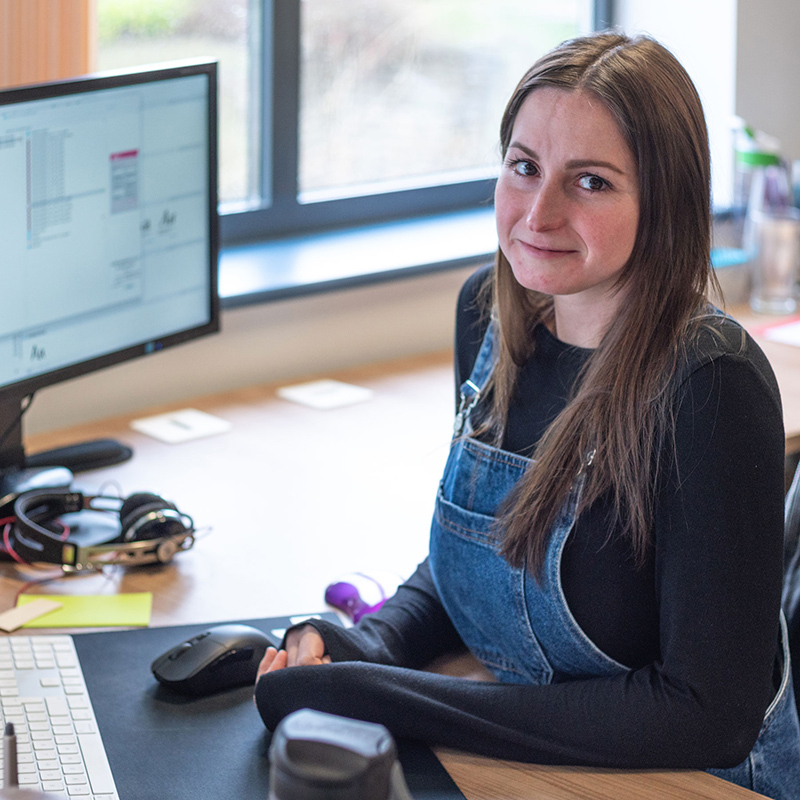 Katie joined emc as a junior designer in October 2015, after graduating from Birmingham City University. She loves all things creative; particularly using her hands to create work and exploring the more traditional techniques of design. Her main focus is to improve her technical skills whilst learning ‘on the job’. Her obsession with typography and hand-lettering has led her to doing freelance work on the side, such as ‘LittleLadyLettering’. In her spare time, Katie loves to sing and play her guitar (Marni), jam with friends and do small gigs. She’s also a serious tea addict!